Overnight is the WWE Super Show-Down Under! Here is the Pulse Wrestling crew’s full preview with predictions. Harrak: “Last. Time. Ever.” Its a nice tagline but really hard to believe. Especially since its all been confirmed that Undertaker and Kane will be teaming to face Triple H and Shawn Michaels at Crown Jewel next month. But that does leave a question mark here. In the retrospective article I wrote about this feud, the win-loss tally ended with Taker leading the series by 2 matches. Does that mean Triple H is “due” for a win? Maybe but honestly I’m more interested in seeing how this story develops into the tag match next month rather however this chapter ends. Widro – With the rumors of a tag team match on the horizon, it seems to make sense that the Undertaker would win here to taunt HBK out of retirement. Harrak: Its somewhat scary seeing how quickly the luster of a Shield reunion has worn off. These three guys are some of the most popular teams ever assembled together but yet them together on the top of RAW is flat-out boring. Strowman, Ziggler and McIntyre (are they still the “Dogs of War”?) 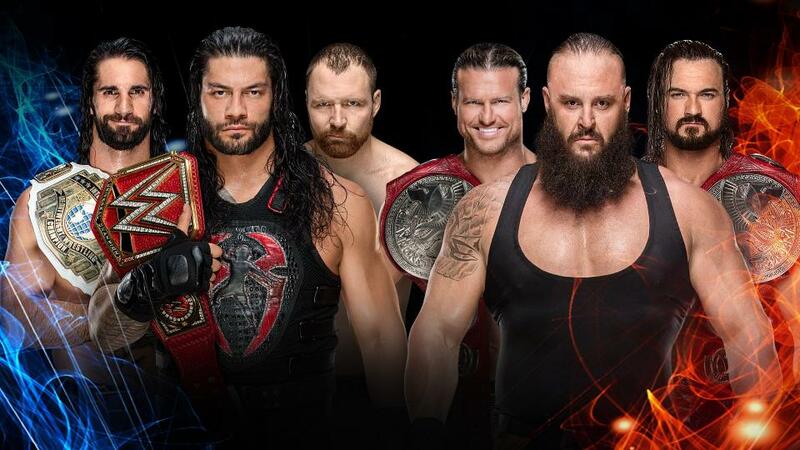 have a presence about them that make their team stand out as something new, exciting and fresh while Reigns, Rollins and Ambrose look like a bunch of guys clinging to a gimmick that worked a few years ago but is gasping for breath now. It felt too soon for a reunion after the failed one last year that collapsed when Roman got sick and Ambrose was injured. Key players might not be on the shelf this time around but it doesn’t appear as if the audience wants to ride with The Shield at the moment. Widro – Behold the program that has led to Raw’s all time lowest ratings. Maybe Australia’s crowd will cheer Roman. Hahahaha. Harrak: Maybe the hottest rivalry in WWE at the moment and it’s easy to see why. 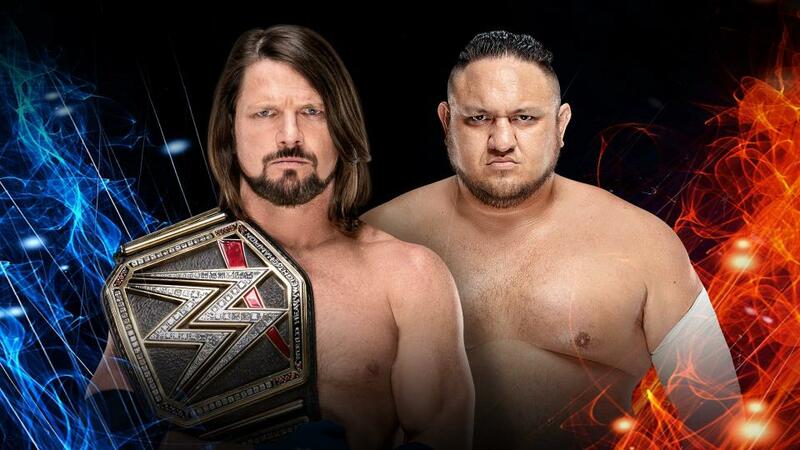 AJ Styles and Samoa Joe are two veterans who can still go. Yes, they may be pushing 40, each have 20 years in the business and have been main eventing WWE since their respective debuts but the massive difference setting these two men apart from other men their age or in their positions? AJ and Joe aren’t burned out. They only started working a WWE schedule 2-some odd years ago and have made themselves the standard of what a great WWE match COULD be. Throw in their willingness to make this rivalry as personal as it has been and you get a feud that delivers both in the ring and on the mic. Widro – I think they are going with AJ as champ for a while. Harrak: This should be a relative squash to get Ronda and the Bellas on the big show. 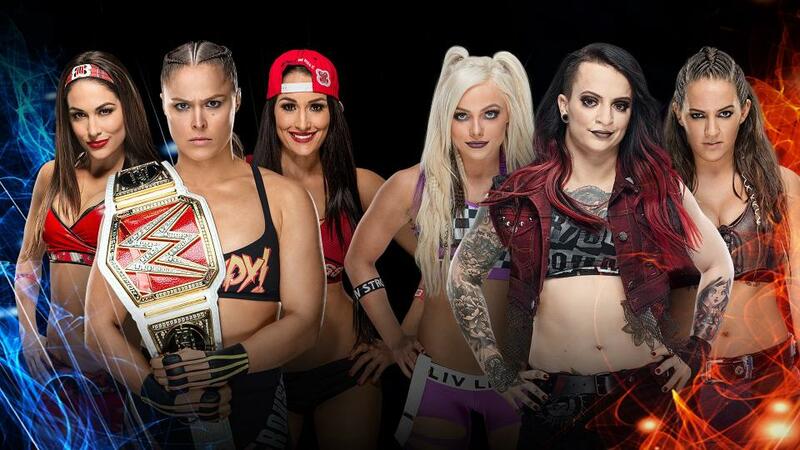 I don’t expect a classic but I hope it’s passable with Rousey getting the “W” and then Nikki Bella turning on the RAW Women’s Champion to set up a title match at Evolution. Widro – It might be a good time to pull the trigger on a Bellas turn on Ronda but I think instead it will be a babyface victory. Harrak: Becky Lynch has been absolute gold since her heel turn this summer. There hasn’t been a better heel on the mic or in the ring than Lynch and maybe the only one who could top her would be a heel Charlotte Flair herself. 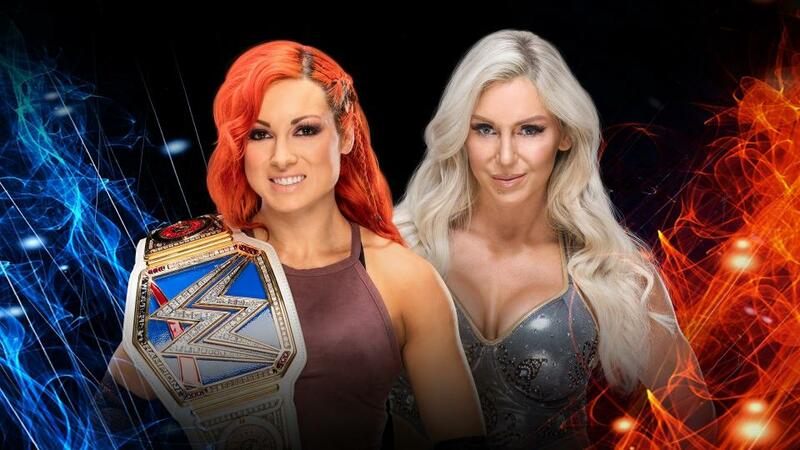 There’s been plenty of talk of Flair challenging Rousey at WrestleMania but both Lynch & Flair’s dance cards are open for Evolution so I expect this match to set up a rematch at the October PPV. Harrak: Here is your historical “Hulk Hogan & Ultimate Warrior versus Sargent Slaughter & Honky Tonk Man” match. Cena and Lashley have had zero interaction since Lashley returned whereas Owens and Elias have so little in common, they’ve been regulated to the “bad guys” in this match. Imagine the insanity if Owens and Elias actually won. Or what if Lashley turned on Cena… Good ideas that won’t happen. This match will serve its purpose and kids will get to see their heroes stand tall. 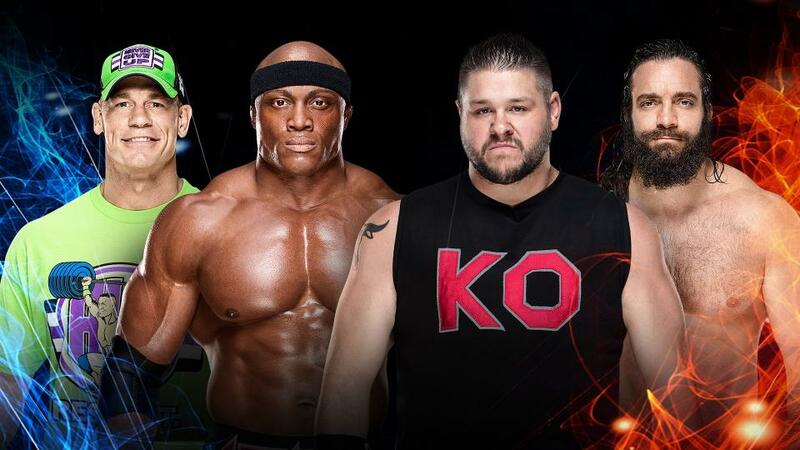 Widro – I think they might do a turn here with Lashley turning on Cena to setup a match possibly on Crown Jewel. Harrak: The other top program on the card and again it features two veterans battling for a chance at either AJ or Joe and the WWE Championship. And once again this story is so interesting not only because of their talents in the ring but also their willingness to explore their personal lives on WWE TV. Every indication tells us Miz and Bryan are categorically different pro-wrestlers, different entertainers, different fathers, different husbands… different men. But their chemistry in a WWE ring is undeniable. I look forward to their matches, as well as their storyline segments and the fact that their match now involves WWE Championship ramifications is a testament to how much they have worked to get their angle over. I doubt Bryan ever thought another WWE Championship run was in his future but him and the Miz have just been so good at their jobs, they are being rightfully rewarded. The last time I remember a title being ADDED to a feud rather than it being the catalyst was back when Chris Jericho and Shawn Michaels were on their months long, career-defining SmackDown/World Heavyweight Championship feud. Widro – Bryan has been treated like a jobber since returning and I see no change in that here. Harrak: I love the New Day. I love the Bar. I love tag team wrestling! I don’t love seeing the same damn matches month after month, show after show. 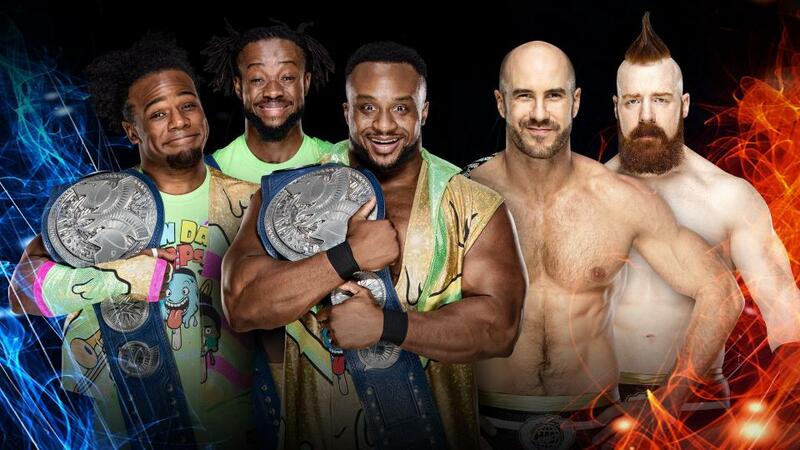 New Day and The Bar are incredible together, we all know that so why not give us something a little more special? Why not put these men in a cage? Or if you don’t want to bring a cage to Australia, how about a 2-out-of-3 falls match? Anything to spice up a feud that’s been beat to death. And that’s sad because these two teams truly are two of the best in the world, they just need someone to do a better job telling their story OUTSIDE of the ring so then people like me would be more invested in the same old match we’ve seen dozens of times. Widro – Should be a decent match – I know because we’ve seen it millions of times. Widro – Asuka has been so buried, it’s sad. Harrak: Here’s a championship match that has flown under the radar and is ready to steal the Super Show-Down. 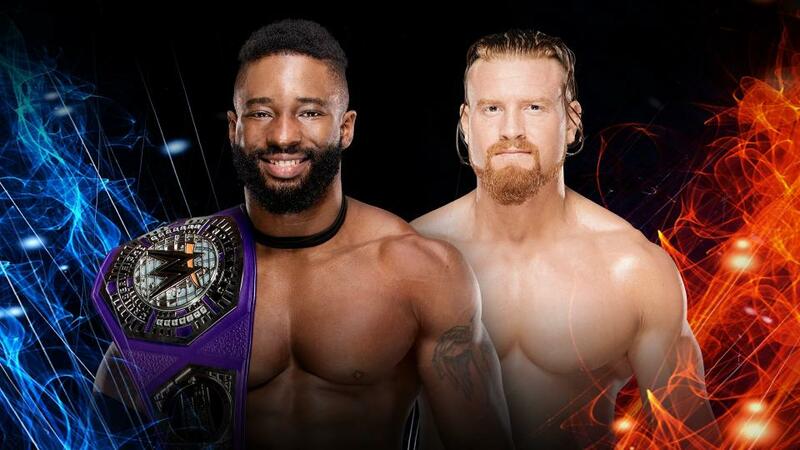 Murphy and Alexander are magic in the ring together, just watch their 205 Live show-stealers to really see what these athletes are capable of. The funny thing is, this match has more in common with the IIconics/Naomi/Asuka match than any other on the card. Challenger Buddy Murphy was also born and raised in Melbourne, Australia and at the time of his championship opportunity, it will be 10 days after Murphy celebrated his 30th birthday. Can’t think of a better gift for the vastly underrated Murphy than the WWE Cruiserweight Championship. Widro – It’s nuts with all the talent on the roster that Buddy Murphy gets this push.